If you recall, we started the year off with product reviews that included our take on Complete Sports Conditioning and the L2 Fitness Summit Video Series. Both products will give you a more nuanced understanding on how to go about your fitness routines, with the former focusing on strength and conditioning and the latter emphasizing fitness strategies. 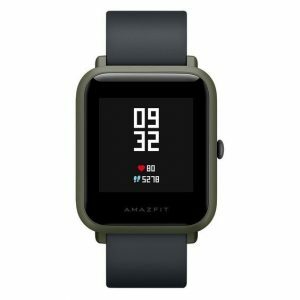 We’ll start by recommending a bang-for-the-buck product: the Amazfit Bip. This affordable wearable, at least compared to its peers, has a dedicated GPS that will track your every workout. This budget smartwatch from Huami costs around $100 only, yet it boasts of a sleek design and easy-to-operate controls. It also includes a heart rate sensor, an Activity app, and a companion app that will help you make the most out of your fitness activities. Plus, a single charge can last up to 30 days. 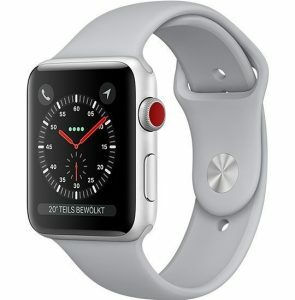 The Apple Watch Series 3 is the undisputed king of smartwatches, and it has made considerable headway in the fitness-tracking industry. One of its innovative features in this regard is a virtual coach that reminds the wearer to engage in physical activity regularly. Its heart rate monitor is a major step up from its predecessors, and its barometric altimeter, which monitors the wearer’s stair-climbing stats, is very accurate. Plus, it is exquisitely designed, with a sophisticated design that will definitely turn heads. Its only drawback is the eye-popping price. 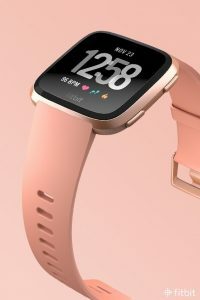 The Fitbit Versa basically has all the fitness tracking capabilities of the Apple Watch Series 3, but it is a lot more reasonably priced. Wearers of the Fitbit Versa can monitor various fitness-related metrics, like your weekly progress and your heart rate. You can even review your recent workout. Just as important, it is widely considered as one of the most accurate fitness trackers on the market. We understand how you might be apprehensive about using wearables to improve your fitness, but do note that elite athletes swear by the benefits of using fitness and/or activity trackers like the ones mentioned here. In fact, Coral reports that English soccer teams have been using tracking technologies since the early 2000s to give them a competitive edge against opponents. Here in the States, the Golden States Warriors, two-time defending NBA champions, have been using this technology since 2015. Coach Steve Kerr famously used data gleaned from wearables to rest four key players. The data was able to tell him that four players had reached their limits, and needed rest to prevent injury. Wearables are considered the “next frontier” in the league’s ever-expanding analytics movement. It doesn’t mean, though, that only NBA players and professional athletes can take advantage of this innovation. Wearables are available to you, and you should use them to improve your fitness levels and reduce the chance of injury. The ultimate goal is to be fit, and wearables can help you achieve that goal. You have your options, and the proverbial ball is now in your court.